SHEW what a month it has been! July bloody well shot past like a bullet and now we are right into my birthday month – whooo hooo! My July Faves 2017 contain a few more products than what I normally include, and they are more re-loved faves than new additions. 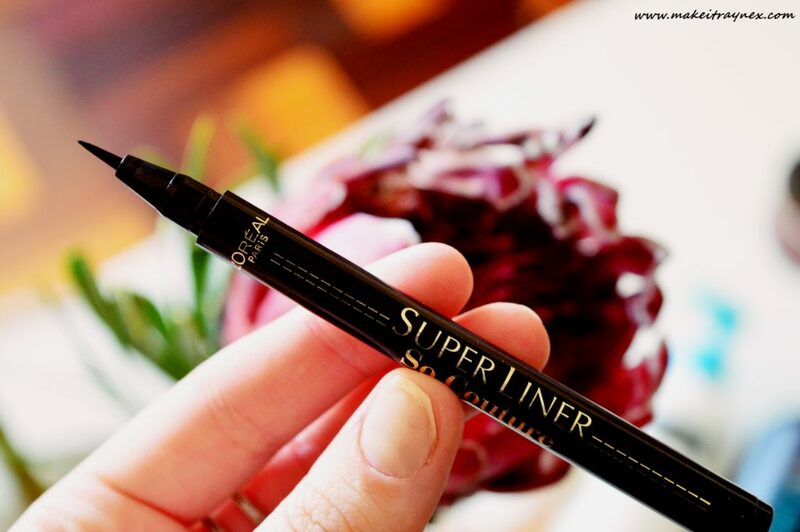 Earlier in the week I chatted about this liner in my L’Oréal Ultimate Picks post. It is such a brilliant liner for the sleekest cat eye or winged look. You don’t need to go over the ink multiple times, and it really stays put! This duo was actually a hand me down from a friend who didn’t enjoy it. So you can imagine I did not have high hopes. Therefore I only just tried this combo and it was released aaages ago. 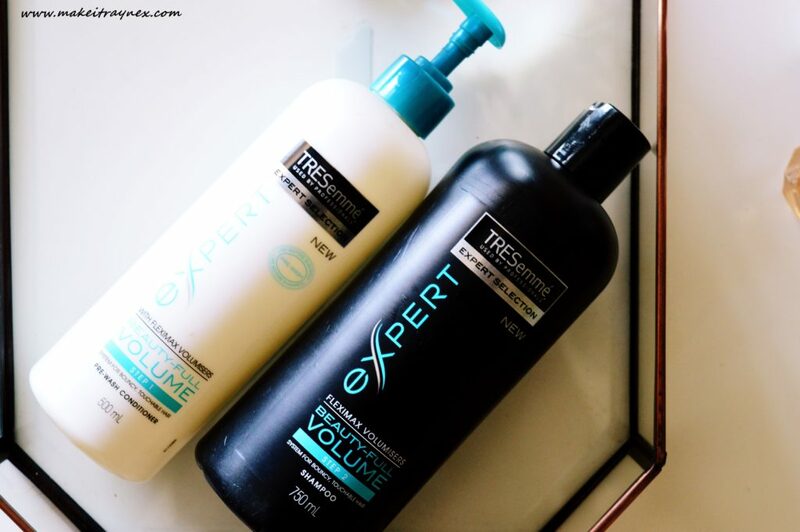 It is that conditioner-before-shampoo novelty duo. And the novelty really seems to work! I had horridly greasy hair after the first use but I think I was not rinsing it properly. What with being used to the combo being the other way around and all. But I am enjoying it now and I find I can leave about five to six days between washes. I don’t know how I have not reviewed this on my blog before. It is definitely in my top three setting powders of all time. Being soooo finely milled it is the most perfect powder for baking. It also SMELLS delicious which is unusual for a powder and it feels baby soft on your skin. You get a whopping 10g of product and it costs somewhere around the R150 mark – which is nada! This is seriously a rediscovered and beloved product. I have had it for about a year but I always found it to be of too high a coverage. UM SAY WHAT NOW? Yes, I used to this it covered too much and made me look fake and cakey but in fact it is perfection and why wouldn’t you want to cover all of your under eye bags? This is quite light and I really feel like it is a lifting, lightening and brightening triple whammy of greatness. Also, super creamy and blendable. Placecol is a brand I am not too familiar with but the two products I do own, this and an eyecream, are fabulous. I am literally going to copy and paste directly from the website here, because skincare is so complicated: A concentrated exfoliating serum that contains safe AHA acids to gently but effectively remove dull, dry and dead skin cells, while aiding with improved cellular activity to promote faster cell turnover. Regular use will help to reduce fine lines and wrinkles and help restore skin radiance. When I use this it always leaves a faint red outline on my face (where the treatment was applied) but this is just your skin adjusting to the AHA, so don’t be scared. I hugely feel the difference when I have used this treatment! What more can I say about this that you have not read on my social media or blog before. 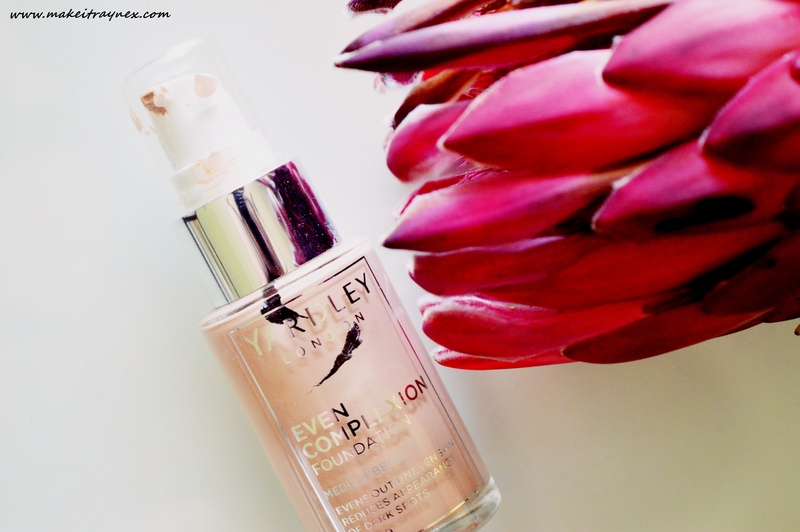 This is such a great daily wear foundation. It is not too heavy but it offers great coverage. 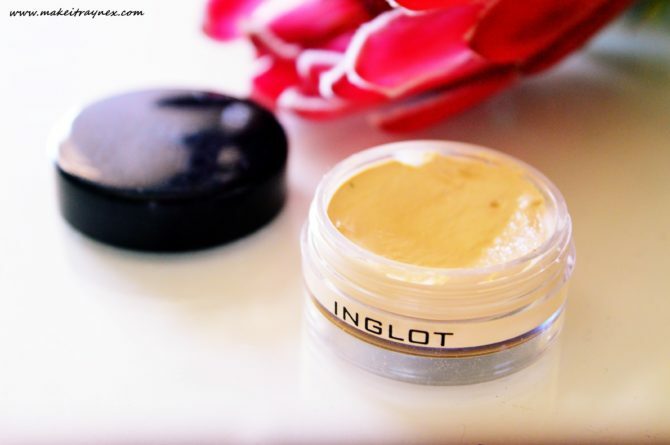 It is more of a buildable medium coverage bu I love the dewy clear-skin look it gives you. I would say it’s in the middle of the “affordable” foundies price bracket. You can see more info and the cost in my previous post. I have seen very mixed reviews on this primer and I am definitely on the ‘loving it!’ side of the fence. It is smoothe and quite silky and you can see the added luminosity the minute it is applied to your skin. I definitely see a difference in my finished make-up look when I use this. I also just love how I am priming my face and adding a glowy and dewy look at the same time. And, because it is from CATRICE, it is like R70 or something silly. Absolutely looooving this right now! 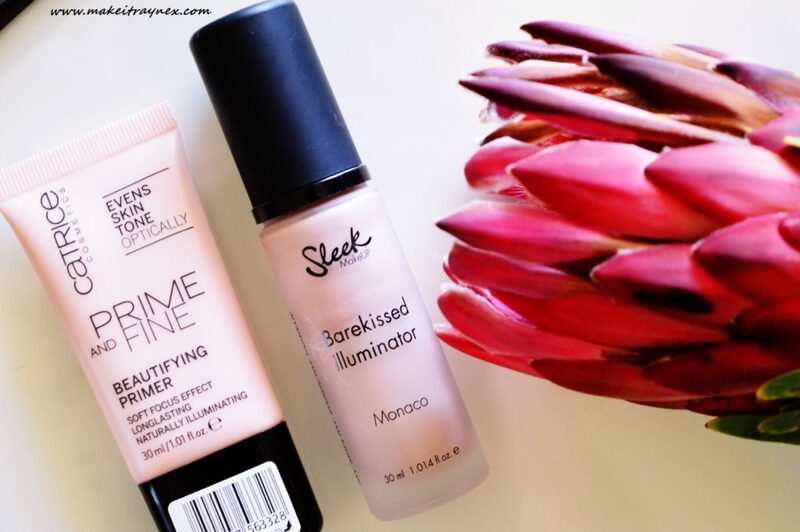 I am so into luminous and glowy products seeing as Winter weather always has my skin looking dull and sullen. This is a product I have in two colours and the other one is shite. It just shows you how you reaaally have to be careful when picking colours that suit your undertones. I am slightly sallow so bright peachy and pink shades leave me looking fresher and more perked up. These are around ten pounds each but Sleek is not available in SA. We can only hope! And there you go! Most of my favourite products of July 2017! I could have still mentioned about three or four more products but I didn’t want this to turn into (yet another) novel of a blog post. Don’t forget to post your Monthly Faves post down below – I love to read them! 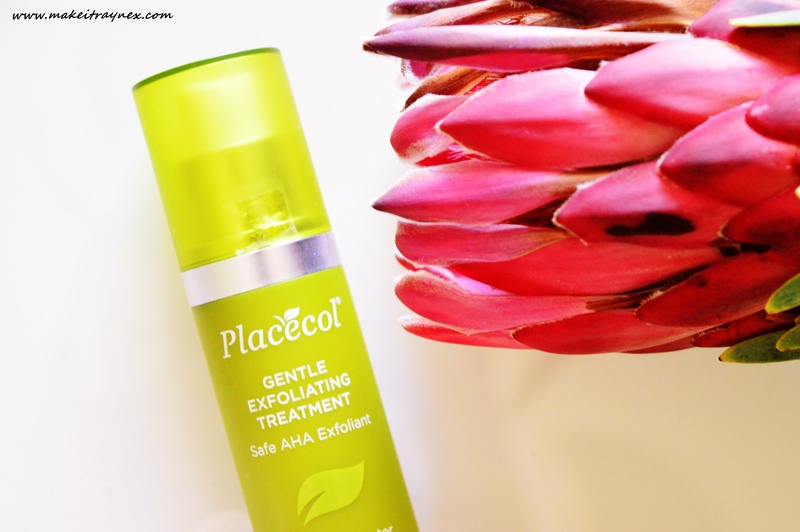 ooohhh that Placecol exfoliating treatment sounds blissful! I think I might need to give it a try, but I’m so in love with my dr.dermal texture correction pads that I’m scared to branch out and try something else – what if I don’t love it as much?! 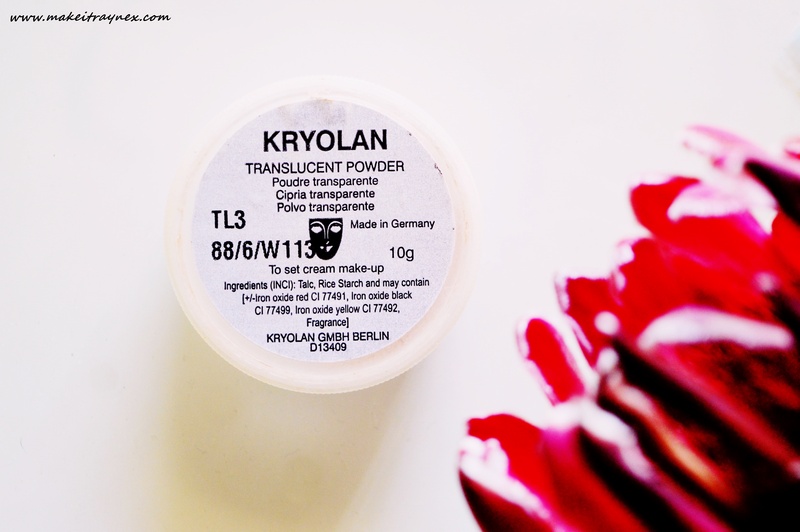 I also love that primer, and I’ve totes made a note to get my paws on that Kryolan powder now too! I loved this post and like always my “I need to want this” list just got longer. Would love to try the liner and the Placecol treatment.